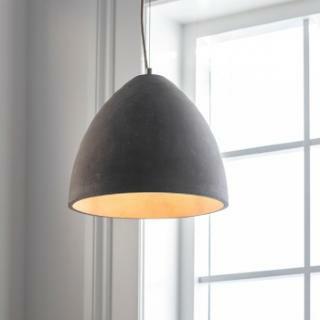 The Large Millbank Pendant Light is an effective and stylish way to add a hint of industrial appeal to the kitchen, dining room or hallway. 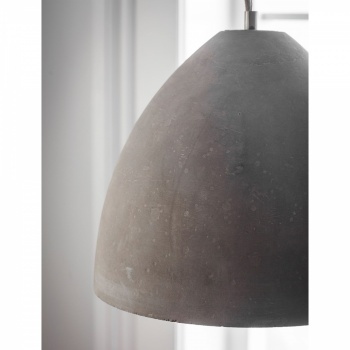 The heavy domed shade is cast in Polymer Concrete which allows the raw markings and colourings to become a prominent feature. 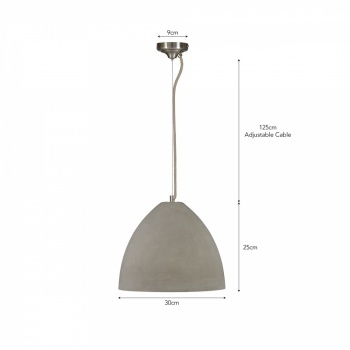 It's designed with an E27 fitting and Satin Nickel ceiling rose. The 125cm cable and wire are adjustable yet due to its weight (3.63kg) we recommend only fixing to suitable ceilings. 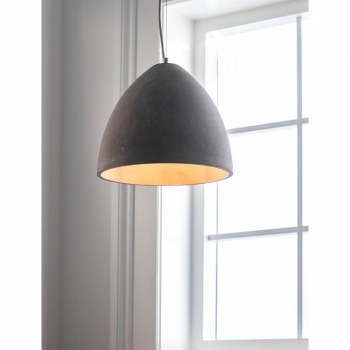 The neutral organic appearance would suit both modern and rural houses and apartments in need of an industrial edge.